He is smarter than Sonic. He is born in Mobotropolis. He was sent to the desert of Oriborus, where he is raised by the Desert Assassins. Years later, he and his parter, Tiny the Bee, came to Sonic's house to convince his brother, Sonic, to join him. Sonic refuses, so he kidnapped Tails, and Knuckles sends him and Sonic to Angel Island, where Sonic accidentaly releases Chaos. Days later, Rockit releases Dr. Eggman from prison to release Shadow. 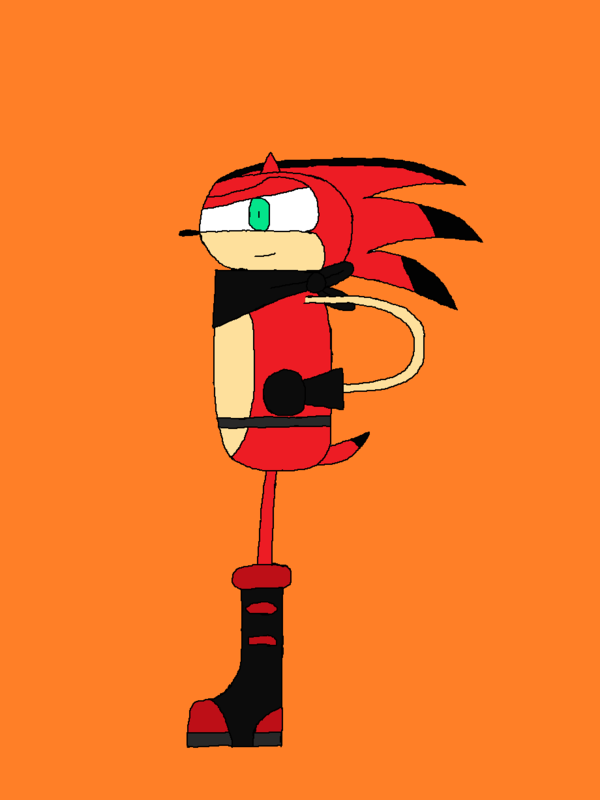 He join forces with Sonic after being defeated. He lives in the same house Sonic lived in. He looks exactly like Sonic, but with red fur with black markings. He also has blueish green eyes. Black Gloves, Red and Black Boots. Sonic's brother and former assassin.